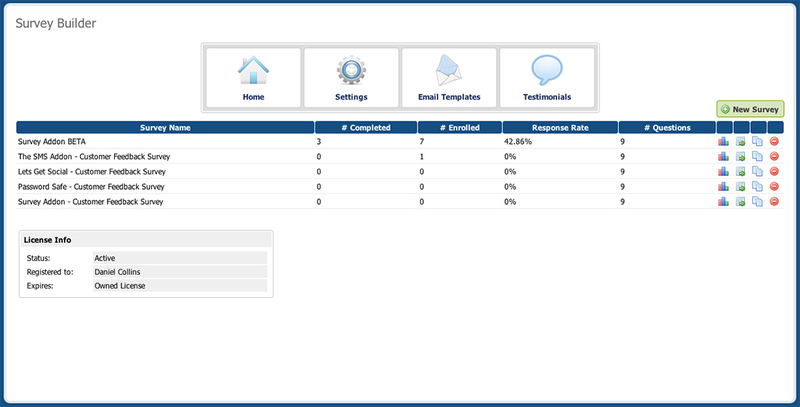 Customer feedback is a vital part of every business and shows your customers that their opinion is important to you. Collecting feedback from customers will allow you to see what your business is doing right and improve upon what it's not. 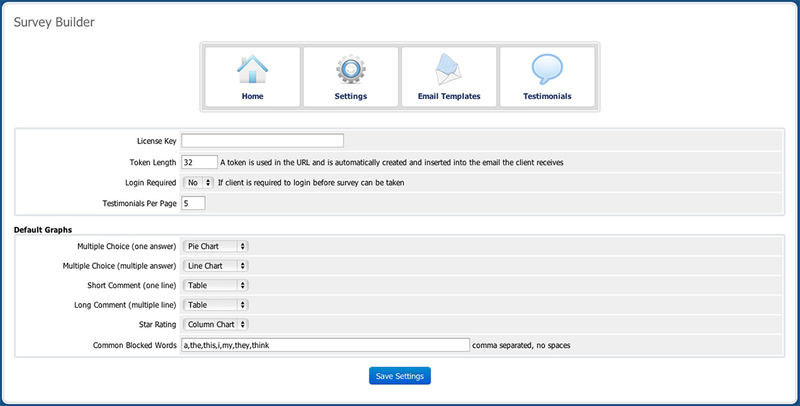 With our addon you can quickly create a survey in little effort and set criteria as to when it will be sent to customer. 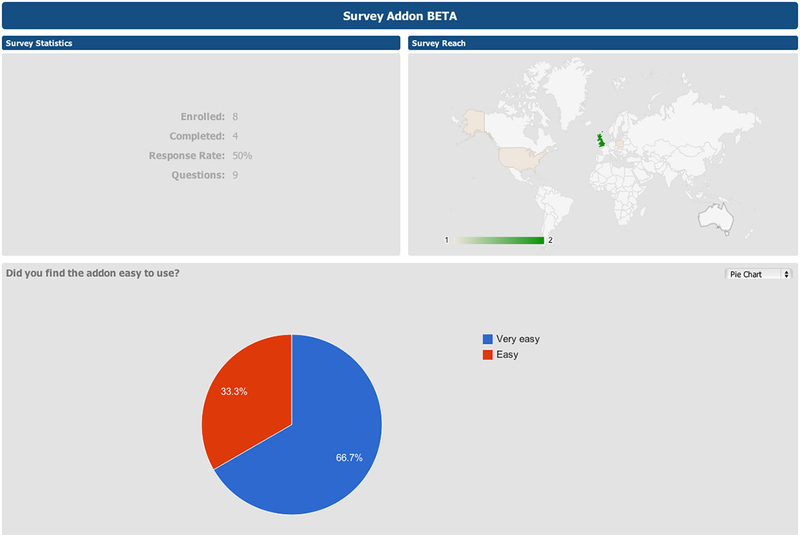 You can view the results clearly represented graphs and can also display these comments on your site using our built in testimonial system. 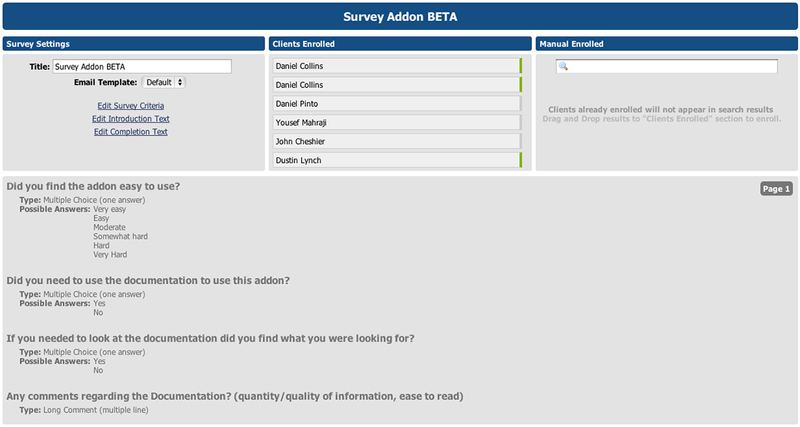 The survey addon created by WHMCSnow is a must have. 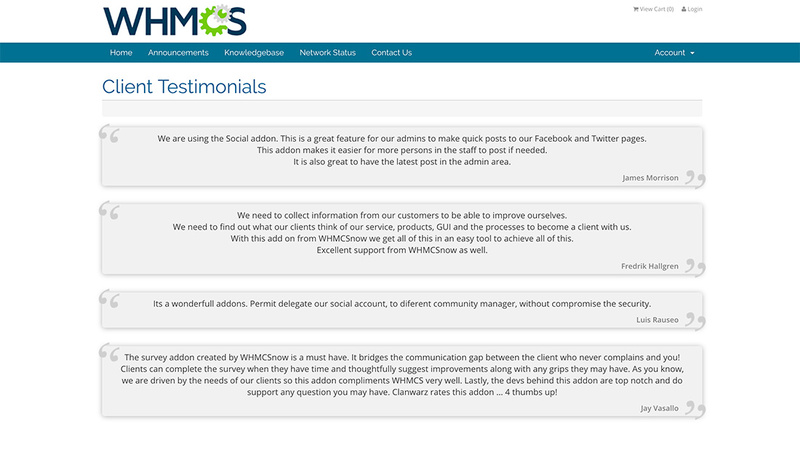 It bridges the communication gap between the client who never complains and you! Clients can complete the survey when they have time and thoughtfully suggest improvements along with any grips they may have. 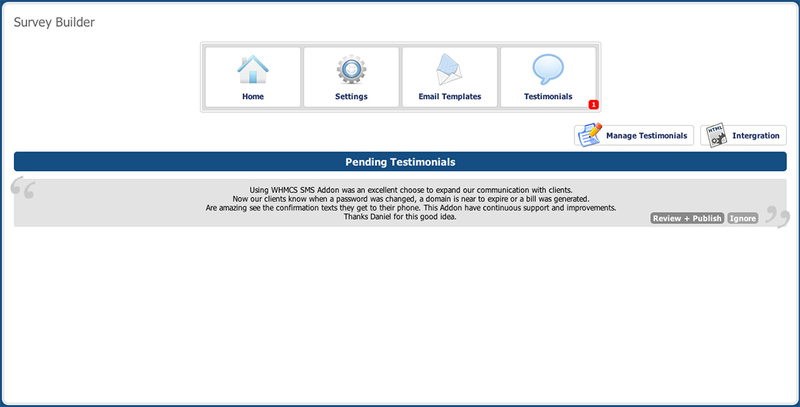 As you know, we are driven by the needs of our clients so this addon compliments WHMCS very well. 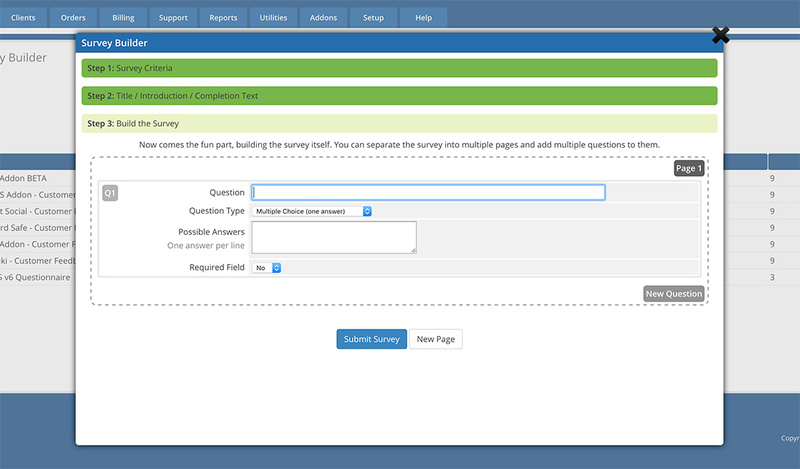 Lastly, the devs behind this addon are top notch and do support any question you may have. Clanwarz rates this addon ... 4 thumbs up! 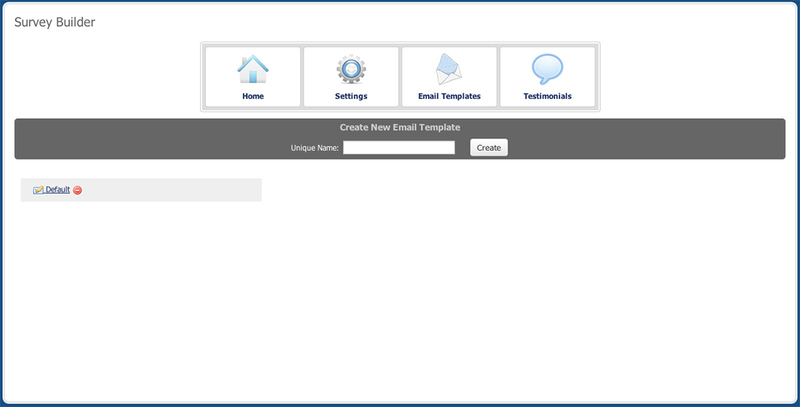 We need to collect information from our customers to be able to improve ourselves. 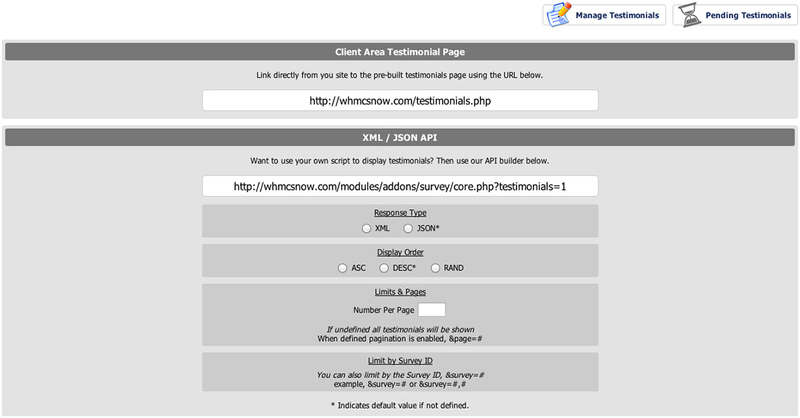 To find out what they think of our service, products, GUI and the processes to become a client. With this add on from WHMCSnow we get all of this in an easy tool to achieve all of this. Excellent support from WHMCSnow as well.